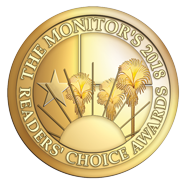 Through decades of professional expertise in the eye care industry, Thurmond Eye Associates has earned the ultimate trust of its patients for all of their optical needs. Whether your child is getting their first pair of glasses or you need your first pair of bifocals, we offer a broad selection of frames and lenses for all ages, prescriptions and lifestyles. From contact lenses to prescription eyeglasses and sunglasses, we offer you the highest quality products and the latest technology. 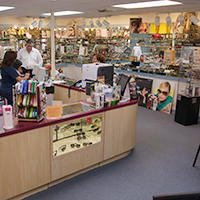 Why Choose Thurmond Eye Optical? Patients have trusted Thurmond Eye Associates for their eyeglasses needs here in Rio Grande Valley. All our opticians are experts in the eye care industry and are trained to help you select the proper frame for your prescription, as well as the best style and brand of glasses and contacts for your lifestyle. We offer a wide selection of frames and lenses for all ages, from children to adults. We carry various major designer brands and a number of products, such as occupational eyewear, prescription glasses, reading glasses, sports glasses, safety glasses, sunglasses and contact lenses. 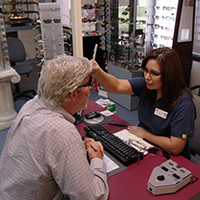 We have 6 South Texas locations to provide our patients with custom solutions for their eye care needs. Thurmond Eye Associates Ophthalmologists and Optometrists are committed to providing you the best vision possible combined with the best products technology offers. We strive to offer the most experienced opticians available to help you with your eyewear selection. When we manufacture your eyewear, we will inspect it carefully to ensure the prescription is filled properly. Warranties come standard; One year full warranty on all frames. The latest in designer frames from the hottest brands. Find a style and price that suits you.Plus, advanced contacts lens designs for comfort and accuracy. Warranties come standard; One year full warranty on all frames. 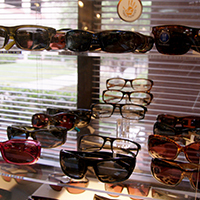 For outdoor activities and sports, we carry a full line of durable, stylish sunglasses and protective eyewear.